Thought this was kinda funny. I've probably said mean things to Kyle as well. Saw this. KK is WOKE! ... and the President colluded with russia. The video is just entirely asinine. I couldn't get through it. Let me know if he makes any good points after the first three minutes. If an NBA player tries to bring attention to something that bothers them--whether it's mental illness, racism, or whatever--there are always people who try to shut down the discussion by saying "you get paid millions to play basketball. shut up." Do these people go to the ER and say "broken finger? lighten up, Francis. I once had an entire broken hand!" What's the point? Why do people feel the need to compare their problems? Concussions and brain damage are a serious problem in the NFL now. It's also a problem that there are tons of people in the US who would immediately trade for CTE if it meant $5,000,000 in the bank account. Yeah, there are a lot of problems in the country. I just hate the mentality of "you get paid to do this, so you're going to take my mistreatment and understand you still have a sweet life." It's the same mentality that causes people to leave a mess at McDonald's because there are people who get paid to clean it up. Society is better when people just avoid being jerks. The guy in the video is just laughing at the NBA player who said one particular instance felt like "being in a zoo." But yeah, for sure, if you are a fan and think YOU are entitled to be a jerk to the players because they get paid money, then it totally makes sense that the player would feel like an animal. They are not being treated as a person, that's for sure. They're being treated as a prop and the fans feel like they're entitled to that because the players gets paid well. That's crazy. It's just totally crazy. But taking a step back, Korver wasn't even complaining about any problems! If you pay attention to the NBA, everybody talks about how the Jazz have terribly racist fans. I am a casual fan of the NBA, at best, and I have heard at least half a dozen players from different eras talk about how poorly they were treated by Jazz fans. So maybe there is nothing wrong with a white Jazz player trying to put his name on a pretty decent article talking about some of these issues? But whatever, I've also started to feel sad when I'm at WSU games and I see fans (WSU fans and opposing team fans) shouting at the players. It's always middle-aged dudes who probably wouldn't leave the bench in a YMCA pick up game, but they feel the need to try to belittle a bunch of 18 year olds that are, objectively speaking, in the top 0.1% of all basketball players on earth. I didn’t watch this video, but did read what he wrote. I don’t have any problems with people speaking out about racism. It’s a problem and individual instances should be called out. Where I do have a problem is when he thinks he is part of the problem BECAUSE he is white. His solution is to “listen” to POC, which means “believe”, which means “obey”. That’s only okay if the ideas are good, but he doesn’t care what the ideas are. He’s only “listening” because of skin color...which is racist. He states that he has to hold himself accountable as a white man, but not question or engage in dialogue...only support marginalized folk. He suffers from white guilt and he holds others responsible for perceived sins. I'm certain you didn't mean that the way it reads. The terms "white guilt" and "perceived sins" don't have good optics. They appear to be buzzwords used in circles where I'm confident you are not involved. I understand your context. I used to be involved in the Wichita Blues Society. That group, oddly, was almost exclusively white. Their education programs seemed to be teaching school age kids about the origins of blues while simultaneously apologizing for how badly their white ancestors had treated the black kids ancestors. That makes it pretty obvious why the black blues musicians in town had nothing to do with the Blues Society. Apologizing for the past does nothing to make the present any better. I had played with most of the premiere blues musicians in town, who were mostly black. When the African-American Museum in Wichita opened a Blues Hall of Fame, there were 2 Wichita Blues Society members invited. Myself and the bass player I played with, and we were both invited to play. The bass player had studied Motown and adapted that sound to a blues environment. Almost everybody performing asked him to sit in with them. I wasn't the best example of a white guy playing blues. I was the most acceptable white guy to play in front of a predominantly black audience.Racism in America is alive and flourishing. It's also a 2-way street. I used those words precisely because they are the words of his world view. I personally believe in neither. I do do appreciate your narrative illustration. Certainly racism is alive, but it is currently less of a problem than it has ever been in the history of this country. There is an uptick in collectivism where identity trumps the individual. From this, racism could bounce back in a big way. I wasn't the best example of a white guy playing blues. I was the most acceptable white guy to play in front of a predominantly black audience. What made you more acceptable than the other members to play in front of a predominantly black audience? Those are some leaps, man. Maybe he is saying "listen" as opposed to "jump in and talk over everyone else." 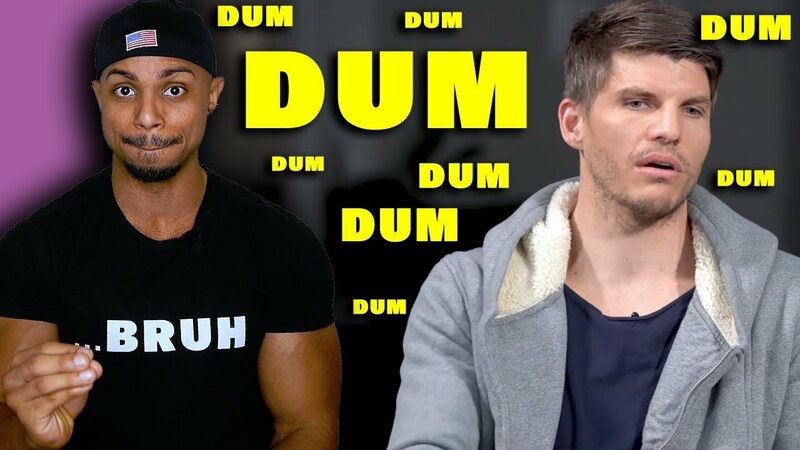 And maybe this is an issue that Kyle Korver should "listen" on since Abercrombie-looking Kyle Korver probably isn't the preeminent expert on how it feels when a fan calls you the n-word. If you're pushing back on Korver's article in the players' tribune where he literally just says he knows his teammates have experienced racism and that white people should hold each other accountable to try to stop racism... well, I dunno. That's just a sad state of affairs. I'll be honest, I often can't tell for the most part if these statements are legit, guilt, virtue signalling or what anymore. There seems to be a race for the finish on who can be the most woke anymore. However, what I believe is that if we are going to generalize issues, the more important determining factor is culture, not race. Failure is not determined by race. Otherwise every white person would be rich, every minority poor, and that's not the case. There's poor whites, poor blacks, poor hispanics. I fear that attributing to racism what could be attributed to something real, causes issues to go unresolved longer than necessary. I responding to the idea that racism is “flourishing”. I disagree as all people are equal under the law. There are certainly individual acts of racism, and those acts need to be addressed. I stated previously that I have no issue with this, what I take issue with is KKs narrative of my guilt by association with my skin color. That’s not all he’s saying. He’s saying that black people AREN’T equal. That there is something that he and people that look like him are doing to make them lesser. He’s saying that because of the white man’s responsibility, it’s the white man’s turn to sit at the back of the bus.